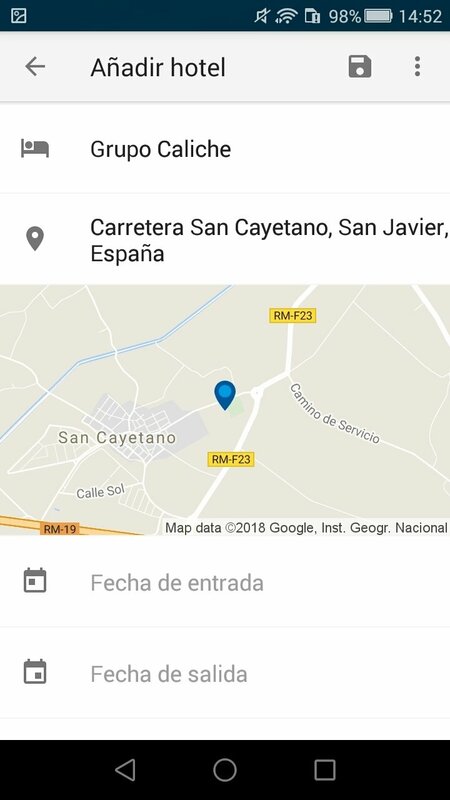 Whenever we organize a trip, we usually have dozens of emails with different bookings (flights, hotels, rental cars, museum tickets, etc.) scattered around our inbox or organized in a somewhat chaotic manner. And what about all those webs we visit searching for tips and routes around unknown cities? Organizing a trip can be a chaos. 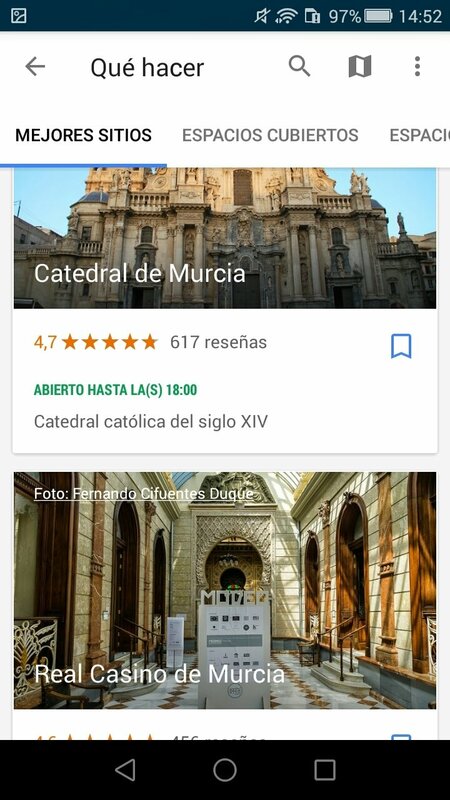 Tripadvisor is in for some competition on behalf of Google. 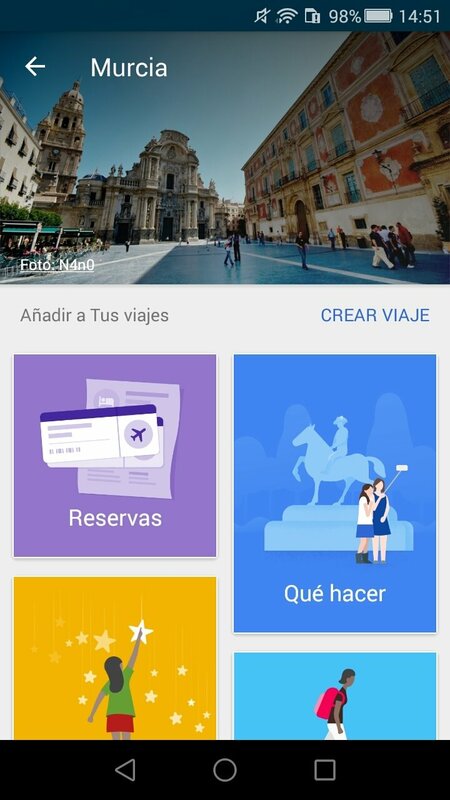 That was until now because Google has just launched its official Google Trips - Travel Planner app that intends to be the ultimate guide for any journey. 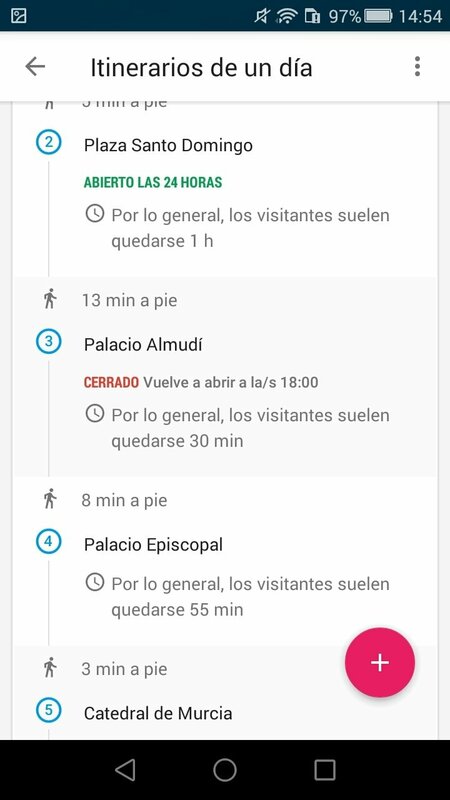 By downloading its APK to our Android smartphone or tablet, not only will we have all our booking confirmations centralized in the same place, but it also offers us all sorts of plans, routes, and recommendations based on the length of our stay. 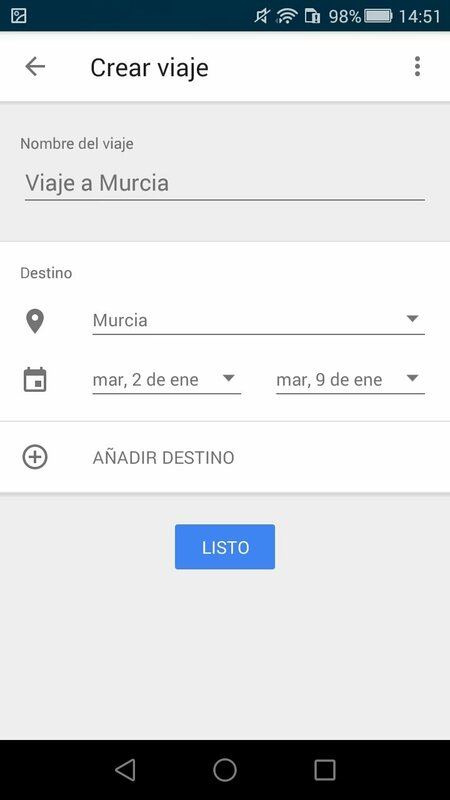 Put together all your emails about travels found in your Gmail account. 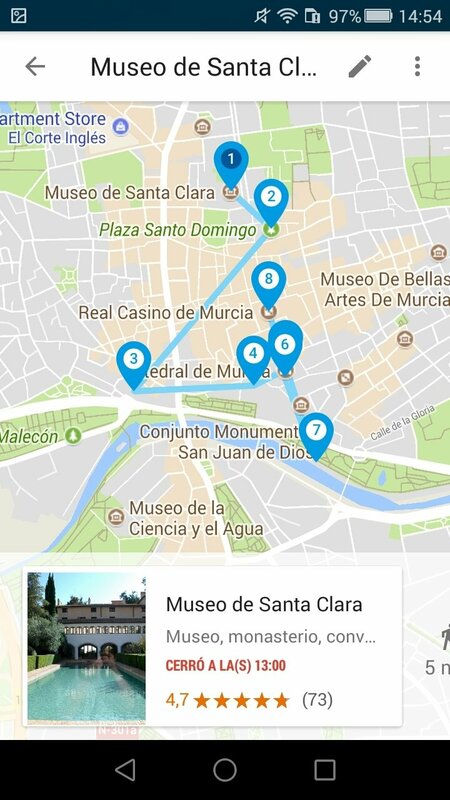 Daily plans for thousands of tourist sites around the world, customizable according to our interests and the time available. 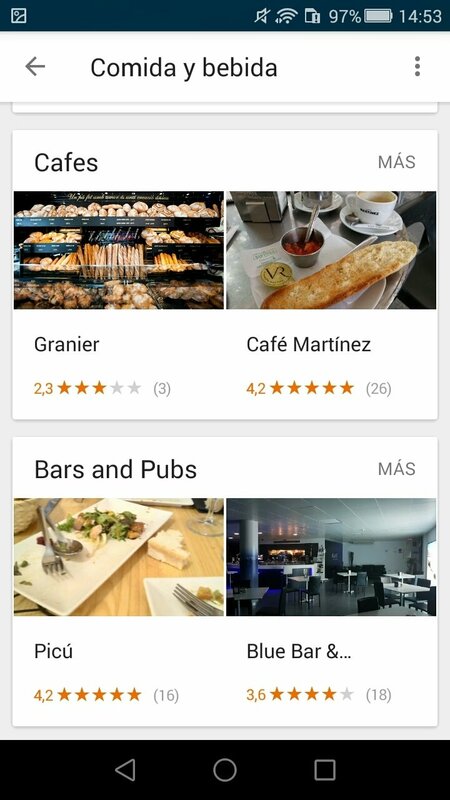 Discover nearby places of interest, with their timetables, reviews and ratings by other users. Find things to do in your destination. 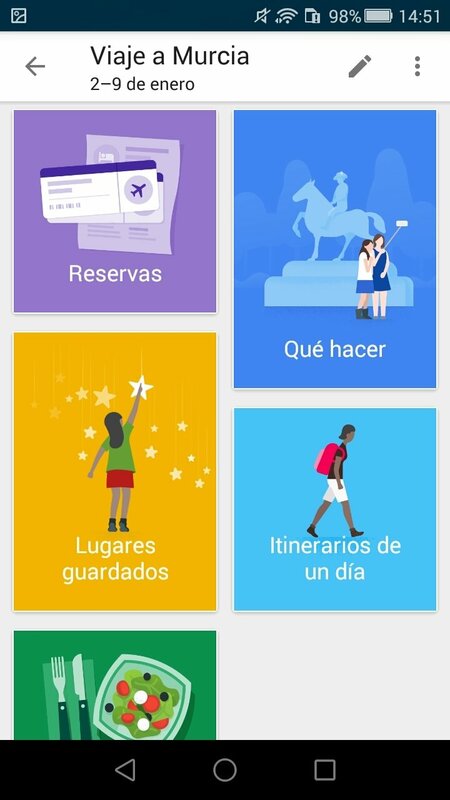 And all the latter, accessible offline so that you don't have to worry about roaming costs abroad. 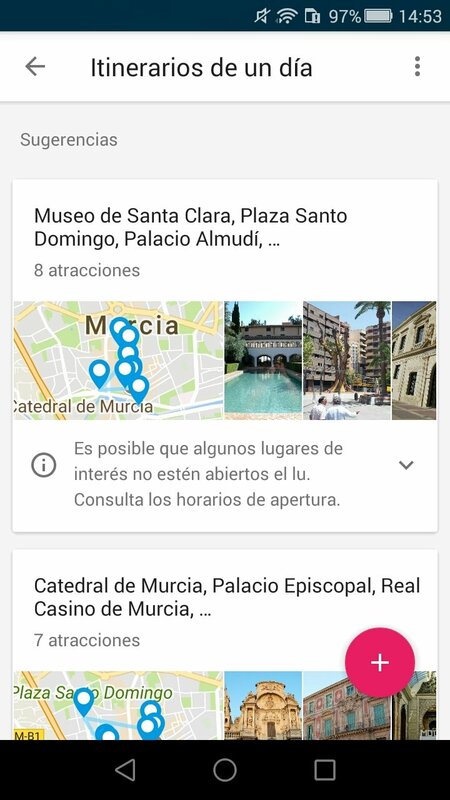 How it works is very simple and you only have to search for the place you want to travel to on the appropriate dates. 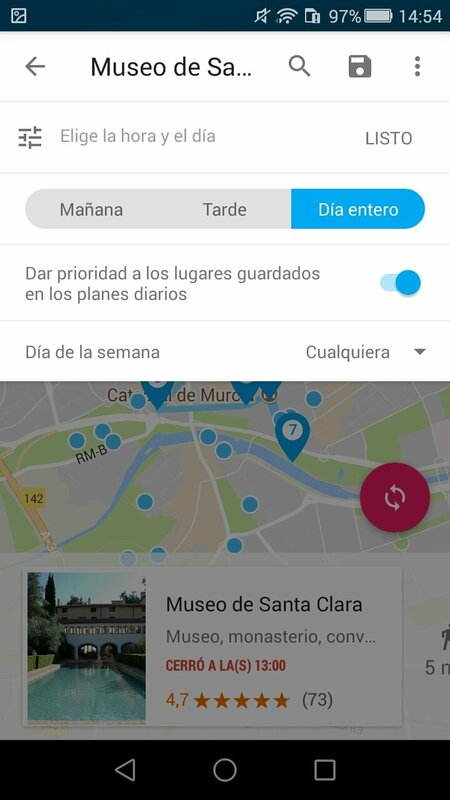 From that moment, you'll be able to add hotel bookings, travel tickets, activities, routes, restaurants, and bars... all the latter from a very functional and minimalistic menu similar to Google's own sober style.